The market for server-side Web development solutions is a crowded one, these days! Perl, ASP, PHP, JSP, Cold Fusion and many more specialized choices abound. How is a newcomer supposed to know what to learn and what to use? Choosing a platform with which to build your first major database-driven Web application is nothing like choosing an HTML editor — you can’t just download a half dozen candidates and take them all for a test drive one lazy afternoon. Some of these languages can take an uninitiated Web developer months of work to truly understand and come to use comfortably. Unless you’ve got time to take a year off and curl up with a pile of books, you’re going to need some guidance! In this article, I’ll touch on each of the major options on the ‘net today. For each, I’ll explain the main selling points, the inevitable drawbacks, the relative costs and the neccessary compromises. I’ll also profile the target developer for each of these technologes; that is, I’ll shortly explain who they had in mind when the geniuses behind each of these technologies first created them. If any of these profiles remind you of your own situation, that should be a pretty good sign that you’ve found the right technology. The choice of a server-side programming language is a constant source of heated debate on the Internet today. Just like HTML editors, everyone has their favorite scripting language and most people have very good reasons for their choices. However, the very nature of server-side development — that Web browser compatibility is not an issue — allows for two technologies that tackle the same problem in very different ways to both succeed in equal measure! For this reason, this article is not about deciding which platform is the best of all, but which is best for you. And hey: even if you still can’t decide after reading this, or if it turns out you’ve already made the wrong choice, at least you’ll have some idea of what you’re up against! Perl has been around longer than the World Wide Web itself. Version 1 was released on December 18th 1987, a full decade before the other languages covered in this article were even conceived! If you’re new to this stuff, you’re probably wondering how a server-side Web development language could have existed before the Web itself. You see, Perl was not created as a Web development language. Perl is, in fact, a multipurpose scripting language that was designed to handle tasks that involve a lot of text manipulation. Perl is very good at juggling pieces of text from various sources and combining them to form complete documents, which is exactly what is involved in server-side Web development. In the decade and a half since its creation, Perl has been expanded by means of modules, pieces of somtimes-complex functionality that can be plugged into the language to adapt it to various specialized purposes. One such purpose is the creation of dynamic Web content via the Common Gateway Interface (CGI) supported by the vast majority of Web servers. CGI is a standard means by which the Web server software can hand a browser’s request for a Web page off to any program. Truth be told, CGI programs can be (and have been, on occasion) written in C/C++ if necessary. With its convenient handling of text, however, Perl has always been better suited to the job, and now that Perl comes with the CGI.pm module built in, most of the nitty gritty details of handling things like HTML form submissions are handled for you. As a final boon, the Comprehensive Perl Archive Network (CPAN) was founded to provide a centralized source for add-in modules, sample scripts, and in some cases fully developed Web applications. Today, versions of Perl are available for free on all major operating systems (from mainstream Windows to the most obscure Unix variant), and if you want to make it do something complicated, chances are someone has already written a module to make your job easier. The only downside to this language is that, since it wasn’t purpose-built for Web development, it hasn’t been optimized either for speed, scalability, or ease of use in a Web server setting. There are much easier languages out there to learn that can do just as much in the Web development arena, but Perl will also let you do a lot more than just Web development if you need to. A mature language with over a decade of history, you’re less likely to run into bugs in Perl than in any other server-side language. It’s FREE, though a good book to show you the ropes may set you back a little. Most good Web hosts support Perl, so you probably won’t have to pay extra for hosting. A vast network of dedicated Perl developers all over the world are at your disposal. Not only will they answer your questions on countless Perl discussion groups and mailing lists, but the CPAN archive (among others) will give you plenty of examples to work from. Although some options exist to improve the situation, Perl doesn’t scale especially well on busy servers. If you’re looking to create a Web application that can field a lot of hits in a short space of time, you may want to look elsewhere. Perl is notorious for having five different ways of doing even the simplest thing, which can make learning from the work of others difficult if they didn’t use the same method you’re used to seeing. Additionally, Perl developers are notorious for finding the shortest way to write any given program, so you may be surprised to look at a sample script only to find that a complete ecommerce shopping cart script has been written in three lines of code, most of which is squiggles and backslashes. Perl is optimized for the Unix platform on which it was created, so if you expect to work on a Windows server, you likely have better choices performance-wise. Perl is Open Source software, which means there is no formal support for it. Despite the huge support community available to you, if something goes wrong, the only person you can really count on is yourself. Most Web developers who still work with Perl today tend to be Unix administrators and users who also put Perl to work in other areas of their system. For people like these, Perl is a comforting ‘go anywhere, do anything’ tool that can always be relied upon. 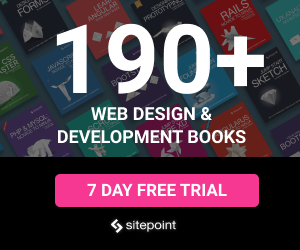 If you’re an inexperienced developer faced with the task of maintaining a site that was originally written in Perl, then grab a couple of good books and prepare to add a truly powerful tool to your arsenal. ASP is closely linked to the Windows operating system (most of the software components that ASP relies on for its functionality are Windows-specific) and the Microsoft Internet Information Services Web server software. For these reasons, it is neither practical nor desirable to run a Web site based on ASP on anything but a Windows-based server. If you’re setting up your own Web server, that means you must invest in a copy of Windows 2000 Server (although much of ASP runs on Windows 2000 Professional, IIS is not as scalable on that platform). If you’re paying for Web hosting, it means paying for a Windows-based server, which is usually more expensive. Any way you look at it, ASP will cost you money to run. There are versions of ASP that can be run on an Apache server running under Linux, but unless you’re specific aim is to move an existing ASP Web site onto a Linux server, there is little point. Another concern for ASP developers is the relatively limited nature of the components that come bundled with ASP. If all you need for your application is database connectivity, a search engine, email handling services, basic form processing and session tracking, then ASP will suit you just fine. Any less common functionality, however, will usually require you to install additional software components on your server. There are many companies out there that produce components for use with ASP that generate PDF files, interact with FTP servers, handle binary file uploads and many other things. Unfortunately, these components, like ASP, tend to be commercial solutions that will cost you money. The upside of all this is that ASP is a very well supported technology, with all the backing of the Microsoft development community behind it. MSDN, the Microsoft Development Network provides a wealth of technical articles and reference material for ASP developers, and Microsoft support personnel will gladly investigate any problems you have in your development efforts (for a price). If at any time you absolutely need an answer to a question, you can rest assured there will be someone there whose job it is to give you the answer. Fairly easy to learn, though programming is required. Built into Windows 2000 Server — no installation headaches. Specialized functionality may require you to purchase commercial components, or develop them yourself in C/C++ or Visual Basic. If you’re used to C-style syntax (shared by C/C++, Java, Perl, PHP, etc. ), you may find the idiosyncrasies of VBScript difficult to come to grips with. If you’ve done any development with VBScript or Visual Basic, or have developed COM objects in Windows before, then this is definitely the Web development platform for you. Also, ASP is about as friendly to non-programmers as a programming language can get (but if you really hate programming, check out Cold Fusion, up next). If you’re comfortable committing to Windows for your Web server platform and can afford the costs involved, or if the company you work for simply demands the level of support that Microsoft can provide, then ASP is a great technology to learn. For the Web desginer who has never written a program before, the choice of server-side Web development platform can be a dreaded one. Whichever way you go, you’re faced with an big, evil programming language to learn and your head just starts to ache… Originally created by Allaire in 1995 and recently bought out by Macromedia, Cold Fusion was designed to be different. Instead of a scripting language, Cold Fusion gives you a set of tags to learn. Yes, tags — just like those HTML tags you’ve come to know and love! Let’s take the example of publishing information stored in a database on the Web. With the vast majority of server-side languages, you need to add code to your Web page to break out of HTML mode, connect to the database, request the entries from the database that you want to display, and process the results that the database sends you to display it as part of the Web page. In Cold Fusion, this common task is done with two tags: a <CFQUERY> tag, the attributes of which give the query a name and indicate what information to retrieve from which database. A second tag, <CFOUTPUT> refers to the query and lets you use standard HTML to format and display the results of the query. Like ASP, Cold Fusion is a commercial server platform, which means it will cost you money to run it whether you set up your own server or rent space on a Web hosting provider. Unlike ASP, however, Cold Fusion is not tied to the Windows platform. Cold Fusion can integrate just as easily with Apache running under Linux as it can with IIS on Windows 2000. Extremely easy to learn — no programming required! Powerful and very scalable (latest version has support for both software- and hardware-based server clustering). Programmers may not like the tag-based development methods. Web designers who are comfortable with HTML but need to add server-side skills to their repertoire without having to learn a programming language. From the average developer’s point of view, learning Cold Fusion is just like learning some new tags. Non-designers are also likely to warm up to the neatness of server-side programming with tags, so if you’re tired of debugging your server-side scripts, Cold Fusion might be worth a look! A relative newcomer in the server-side development arena, PHP has gained a large following among programmers with its familiar syntax and comprehensive function library. Also, its relatively simple syntax and low, low price (it’s free!) has made it an attractive alternative to Microsoft’s ASP for new developers. PHP has been dubbed by some to be ‘Perl killer’ of the server-side scripting world. For purposes of Web development, PHP can do almost everything that Perl can, and usually does it quicker and easier. Unlike Perl, which usually runs as a CGI program invoked by the Web server to handle each page request, PHP can integrate with your Web server so that it operates much more efficiently. PHP is an extremely capable language, with a vast array of built-in functions to do everything from tracking user sessions to generating dynamic graphics and even PDF files on the fly! No modules to install, no commercial add-ins to buy… PHP handles everything itself! In fact, just about the only weakness of PHP is that it’s relatively difficult to expand the language to add non-standard functionality that is not handled by its built-in functions. Doing this requires a knowledge of C/C++ programming and is not for the faint of heart! Fortunately, you’d have to come up with a very esoteric Web application to require functionality that isn’t already built into PHP. PHP is free, cross-platform, Open Source software. It integrates with all major Web servers on all major operating systems. This is a great boon for developers on a budget, because they can set up a complete Linux-based Web server with PHP support and not pay a dime for software! The downside of this, of course, is that there is no formal support for any problems you may encounter with PHP. Also since PHP is such a new and actively developed technology, there are still occasional bugs found in the latest versions. Don’t let these niggles put you off, though — PHP has an extremely active user community (a large segment of which can be found in our very own SitePoint Forums!) that is always eager to help you with any stumbling blocks, and the current versions of PHP are quite stable and reliable. Fairly easy to learn, especially for developers with C/C++, Java, or Perl experience. Active user community willing to lend you a hand getting started. Everything’s built right into the language. This language was designed to be programmer-friendly, which unfortunately makes it a little less friendly to non-programmers. Java is arguably the most powerful platform for server-side Web development today. From small Java programs (Servlets) that handle Web page requests to JavaServer Pages (JSPs) that combine HTML with custom tags and Java code, and even up to Enterprise JavaBeans (EJBs), software components with sophisticated abilities to carry information seamlessly across servers and networks to accomodate distributed applications, Java is truly a hot technology. An experienced Java Web developer can easily pull in salaries in excess of US$100,000/yr. As you might expect, there’s a reason for that: Java is not easy to learn! Unlike scripting languages like Perl, ASP and PHP, Java is a full-fledged programming language fully capable of writing big programs! Someone with a little programming experience could expect to pick up a working knowledge of the Java language in a month or two with the help of a good book, and in another month would likely be able to pick up the basics of simple server-side programming with Java. Now, if you’re interested in making a career in server-side programming then that may not seem like much, but if you just want to get something working quickly, a simpler language like PHP can have you up and running in a week or less! Java is renouned for its Write One, Run Anywhere (WORA) philosophy, and indeed Java can be run on all major Web servers and all major operating systems. Java Web applications can also be bundled up into a standard Web Application Archive (.WAR) files that can then be installed on any Java-enabled Web server, no matter the platform. The makers of Java planned for this mechanism to be used to distribute commercial Web applications for use on Java Web servers; however, in my experience, Java Web applications tend to be customized solutions to complex problems, rather than sellable solutions that you can buy online. Many different vendors produce the plug-ins that enable Web servers like Apache and IIS to run Java Web applications, and while most of them are free for personal use and development, the majority must be paid for before you can use them to serve a commercial Website. Most Java server plugins are free for personal and development purposes. Java takes a lot of work to learn. Don’t even start if you’re not serious about learning object oriented programming. Most Java server plugins must be paid for if they are to be used to host a commercial Web site. Serious developers who want the ultimate in power, flexibility and scalability for their Web applications, and don’t mind paying for it in sweat, tears and development time. Hopefully armed with the low-down on all these options, you’re feeling better-equipped to tackle the big decision of which to learn and use for your next project. If you’re still in need of some guidance, be sure to drop by our Server-Side Internet Development forum at SitePoint Forums. We’ll be glad to help!